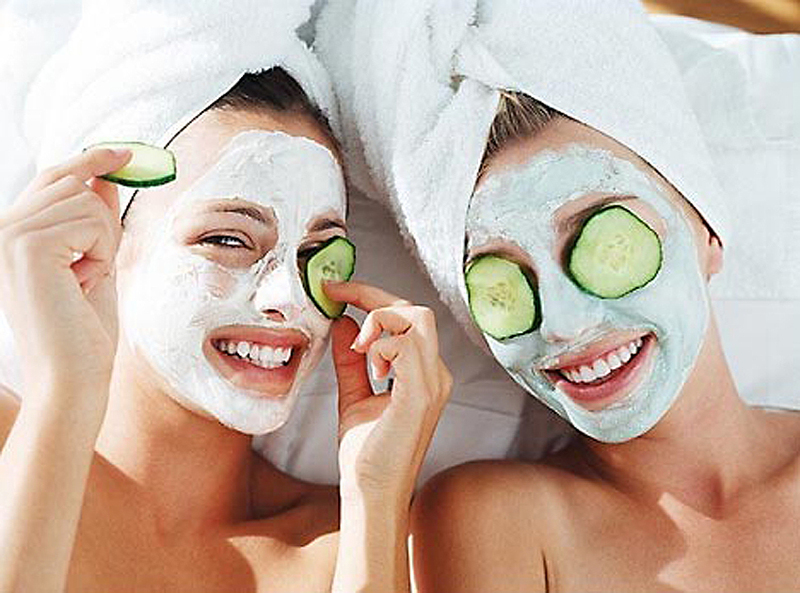 Facial masks are like an espresso shot for the face: they instantly boost circulation, energizing and waking up tired skin, and reach deeper layers for a more effective result than your daily suds. Better still, when used regularly, masks help bolster all your other products’ potency and performance, as they’ll do their job far better with less gunk in your pores. Frosty temperatures call for gentler, more hydrating formulas as skin can be a little more sensitive in the winter. Additionally, you’re likely not building up as much impurities as you are in the sticky, sweaty, sunscreen-soaked days of summer, so go easy on the super-scrubbing treatments. 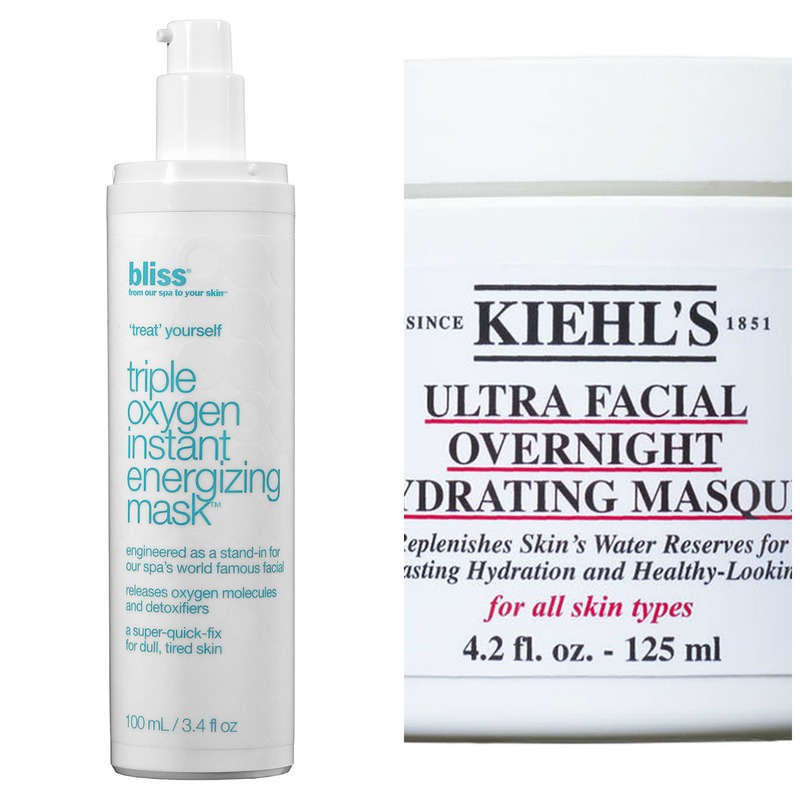 The perfect balance of an invigorating, tingling, deep down clean and a smoothing, hydrating vitamin-rich shot, Bliss’s Triple Oxygen Instant Energizing Facial Mask goes on like a creamy lotion and foams up to a bubble-like texture. As the bubbles dissolve, so do toxins and grime, and when rinsed away, skin feels super fresh, ultra clean, and amazingly soft. If it’s more so just the amazingly soft skin you’re craving, your face is likely parched (an easy feat, with the delightful combination of icy winds and moisture-depleted heating). Nix dryness quick with Kiehl’s Ultra Facial Overnight Hydrating Masque, which packs a serious one-two punch by restoring skin’s moisture loss as well as boosting its ability to retain hydration, leaving skin relieved, refreshed, and ultimately, incredibly moisturized. Winter can make even the most laid-back skin freak out, and sensitivity is often the first sign of stressed out skin. Soothe and smooth with Fresh’s Rose Face Mask – its gel texture is formulated with aloe and cucumber that cools on contact, while mega vitamin-rich rosewater and rose petals tone and soothe. Two and half roses are used to make each jar, and half the formula is comprised of pure rosewater for one seriously nutrient dense dose of refreshing, radience-boosting gel that’ll leave you with a, well, rosy glow. Dullness the issue? Bear with me, as you’ll strike a conspicuously unsexy resemblance to Jason (yes, the chainsaw–wielding psycho), but slap on a Giorgio Armani Luminessence Bright Infusion Bio-Cellulose Brightening Mask, and the results will be anything but. The adhesive white mask molds to your face exactly, reaching every nook and cranny and leaving incredible results on all surfaces. Demolishing “light-absorbing traps” (skin-dulling issues), the super-potent concentrate replaces dull skin with a luminous, even, glow by pumping skin full of a cocktail of vitamins and nutrients from fruit acids and extracts. Sometimes our skin is the first to show signs we need a break from the holiday party circuit – alcohol, lack of sleep, hors d’oeuvres… time to detox. (Save the juice detox for January 2nd; lets start with a detoxifying face mask.) 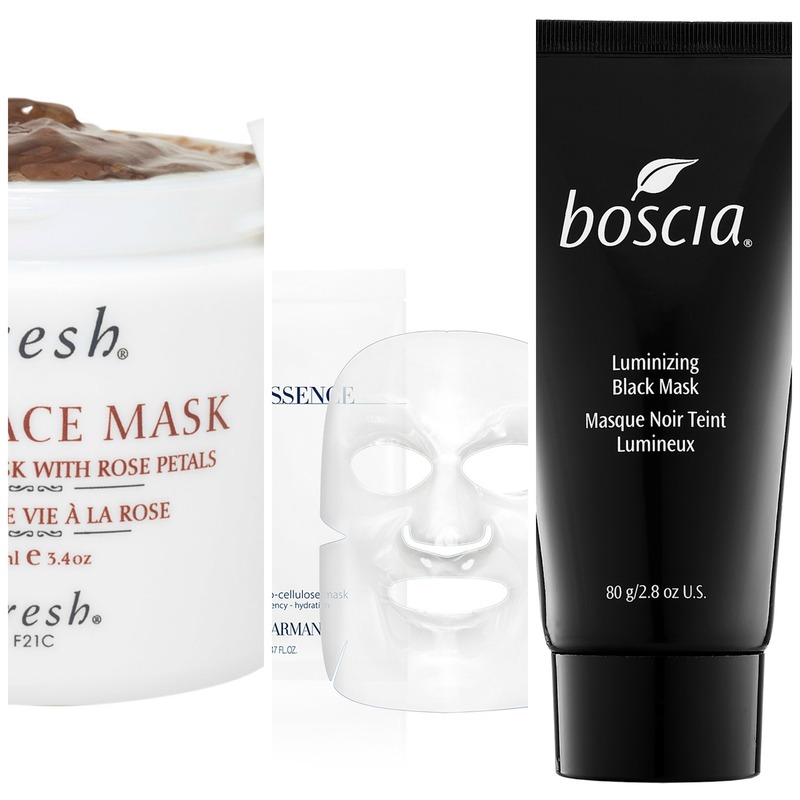 Ironically, Boscia’s Luminizing Black Mask is jet black, but leaves skin squeaky clean and free of all impurities. Mineral-rich clay masks have been used for centuries, and Boscia’s formula features a French clay that’s no exception: since the 1800s, beauty junkies have reaped the benefits of its 60+ nutrients to detoxify, deep-clean pores, exfoliate, purify and boost brightness. Once dry, the mask is peeled off – just like those blackhead-busting nose strips – and with it comes, yes, blackheads, but also every last iota and trace of toxins in pores from deep-down dirt. This super mask doesn’t just strip away the bad stuff, though: packed with good-for-you ingredients, skin is left smoother, thanks to a super delivery of vitamins and antioxidants, and looking flawless, so you can knock back that second (ok, third) glass of wine, guilt free.